In my quest to "Be Resolute" in 2014, I am trying to be more intentional in writing about major life events and goals achieved. As I looked through drafts in my blog list, I realized I had never finished writing the one about my experience in running a half-marathon in November. It is a huge milestone in my Fab4D quest, so if you will indulge me, I will resolutely post it now! 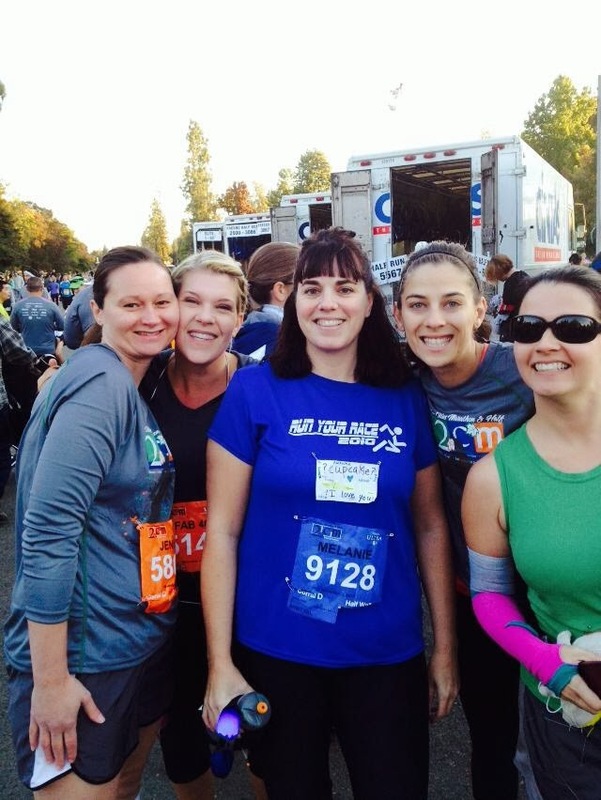 On November 3rd, I ran my sixth half-marathon. It had almost been two years since I had run the last one and that particular one didn't go well. I will admit to a few nerves as I walked to the starting line. I wasn't really nervous about the race as much as I was with the notion of not beating my personal best time to date. That number loomed over my head in a BIG way. ....and some change. I don't even remember the seconds involved in my finish time. I just knew that I had to beat that infernal 2:38. No matter that I had dubbed this race the "fun edition" with my co-runners. No matter that this was part of my "Fab 4D" year of awesome events. No matter that I was positioned to get that PR with all the training we had done. No matter that if I didn't get that PR the world would continue to spin along and I would be just fine. I just wanted to do better than my best. The road to this race is a bit unusual. I started my "running career" a bit late in life. I had good training moments and seasons and some abysmal ones. I literally decided to run this half-marathon at the 10th hour -- meaning instead of starting to train in June, I started in August. I also roped in some friends whom I thought would accept the challenge. And yes, I did visit my running buddy, Gina, in the hospital with her newborn son and throw down the gauntlet. And, amazingly, she didn't laugh..too hard anyway. She likes a good challenge like I do. I even got to do some of my training in Fort Collins on a girls' weekend and had two lovely running excursions with Carmita and Tamara in some beautiful scenery. The company was not too shabby either. It was a pleasant surprise to discover that my bib number ended in 40. The chances of this randomly happening was pretty slim, so somewhere out there a race registrar who has my undying gratitude that they took the time to read my bib name, age and make the connection that this was a special race for me. Thank you random registration worker!! And then it was finally race day! 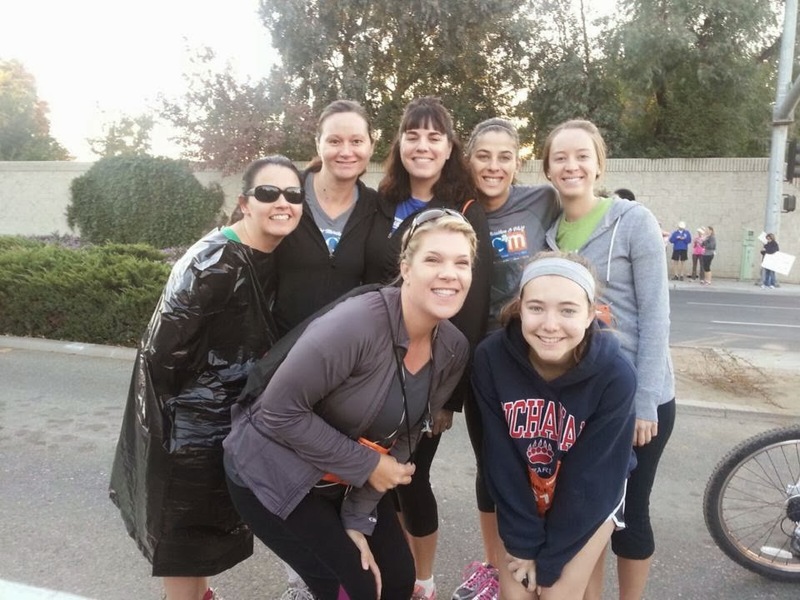 We ran into some friends from church who just got out of bed and decided to run 13.1 that morning! The morning was crisp and cool. A runner's dream. Almost too chilly to stand at the start without a jacket, but warm enough to know that I could run well and comfortably in my short-sleeved shirt. I can't even begin to describe what it felt like to look at my friends and realize what we were doing together that day. There was Jenny, who signed up to run the half-marathon through the fear of not finishing. Up to that point, she had only run 5ks and she did great adding on the miles until she got injured only two weeks before the race. She ran anyway. And she already signed up for her next half. Then there was Melanie. Ah Melanie. Melanie had joined our church's running time several years ago. She was amazing. Perserving. Pushing. Determined. But then she hurt her back. She had to have surgery and running was out. She healed. She started walking. Her walking pace is now faster than her former running pace. 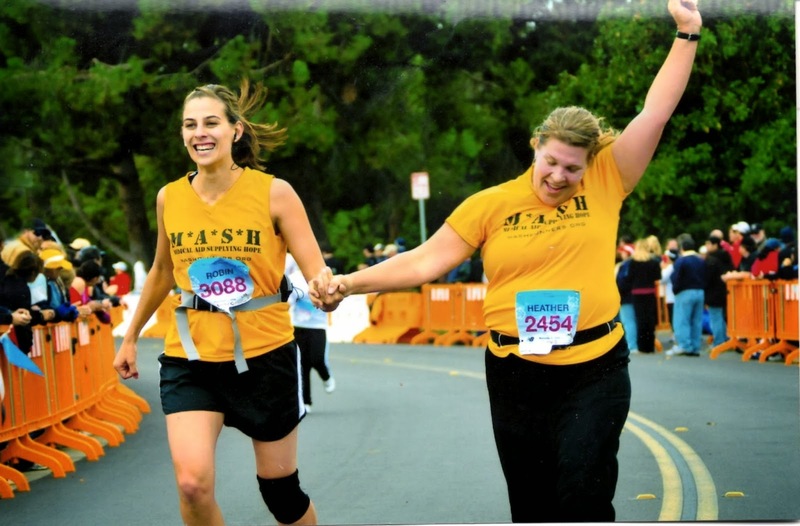 She has walked numerous half-marathons and even a marathon! Then there is Robin. Robin was my first running partner. I was trying to get into shape after my baby turned one. She was literally only a few weeks postpartum. But we started together slowly. And after a few month, I found myself unexpectedly pregnant. But we ran the race and we finished together. That finish is my favorite of all time! And of course, Gina. Only a few weeks post partum and getting the "you're crazy-town" comments from other friends. But, I think she knew that I needed her and even though she ended up catching up to my pace and then surpassing me during our training, she said her only goal was to stay with me. So, back to race day morning. The gun went off, the cheers erupted and we were off. I felt great. 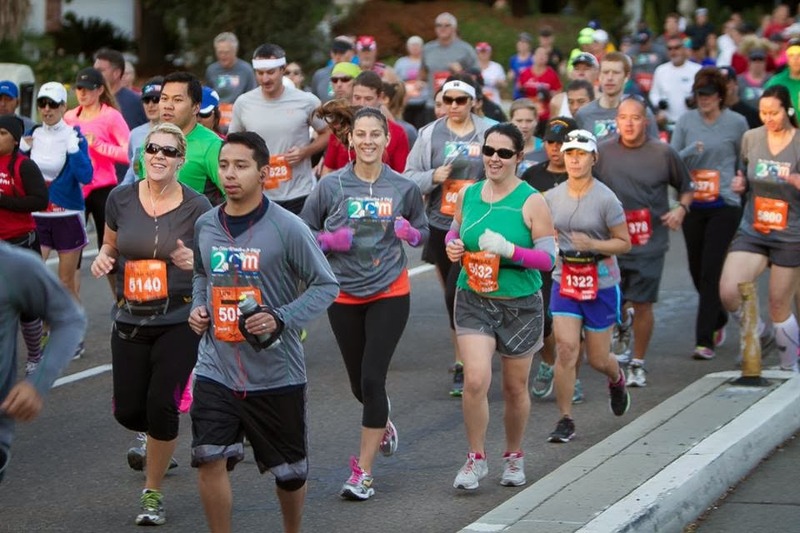 I had all that euphoria from doing something that few people ever do -- although it doesn't seem that way when you are elbow to elbow with other runners for the first several miles. This was the first time that I ran the entire time with someone else. Two someone else's actually. Although they probably could have gone a bit faster, they stayed with me. And it was so fun to experience it all together. To cross the line together. And cross it we did....our hands clasped together overhead in triumph. And my new favorite finisher's photo. And the world continued spinning on regardless, but my world was different. 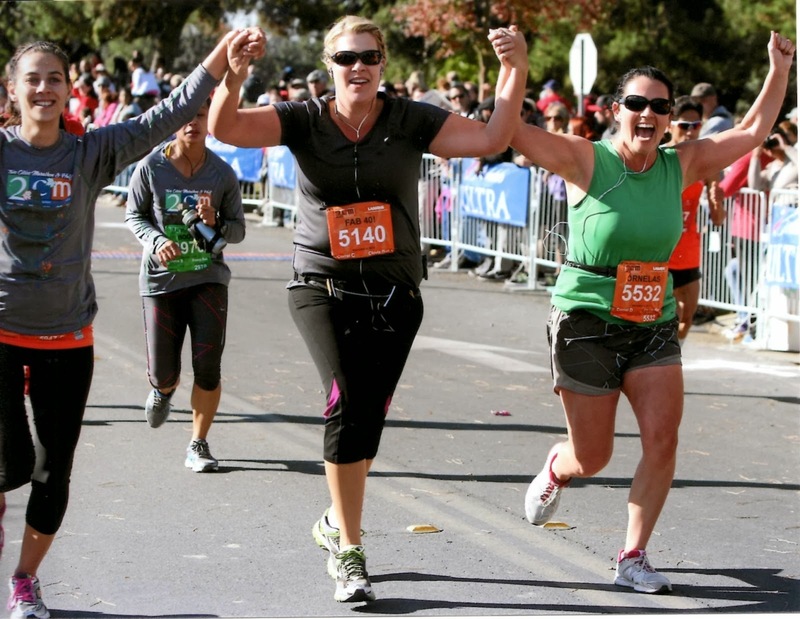 I thought that this goal of running a half-marathon "one more time" was just about time. But I think you can tell from the photos that it was so much more.